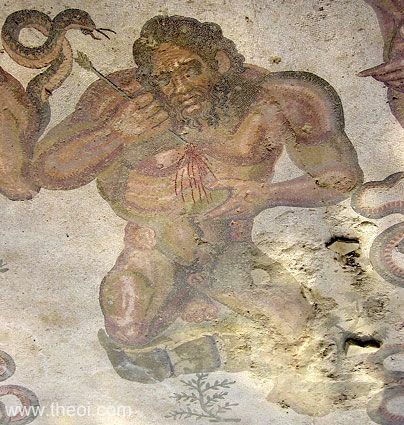 Detail of a wounded Gigante from a mosaic depicting a scene from the Gigantomachia (War of the Giants). The giant stumbles to his knees with an arrow protruding from his chest. He is depicted with human feet instead of the serpentine coils of his brothers.